This year’s UK Games Expo is only six weeks away! That means it’s time to start looking at some events and what could be better than some epic fantasy roleplaying with Pathfinder, as the Pathfinder Society and Syrinscape have teamed up for this year’s weekend of gaming. On Friday the 29th May the Pathfinder Society will be running The Legacy of the Stone Lords from 7pm till Midnight and this will be the UK premier of the adventure. This will be a ‘multi table mega-event’ that will take up the entire Colonial Suite of the Hilton Birmingham Metropole. If you’re worried that playing an epic fantasy role playing game in a boring hotel conference suite will somehow dampen the ambience, don’t worry as Syrinscape creator Benjamin Loomes will be running a live epic soundscape DJ session in the room. If that isn't enough epic RPG for you Syrinscape and the Pathfinder Society will be manning a booth at the expo in the trade halls. In the Timely Temple of Annihilation you can experience the Syrinscape sounds and Dwarven Forge scenery, as well as possibly will some prizes. Don’t forget that for the first time the trade halls at the Expo will be open on Friday afternoon, so if you’re planning to attend the Pathfinder event make sure to come early and have a good old mooch around what the rest of UK gaming has to offer. 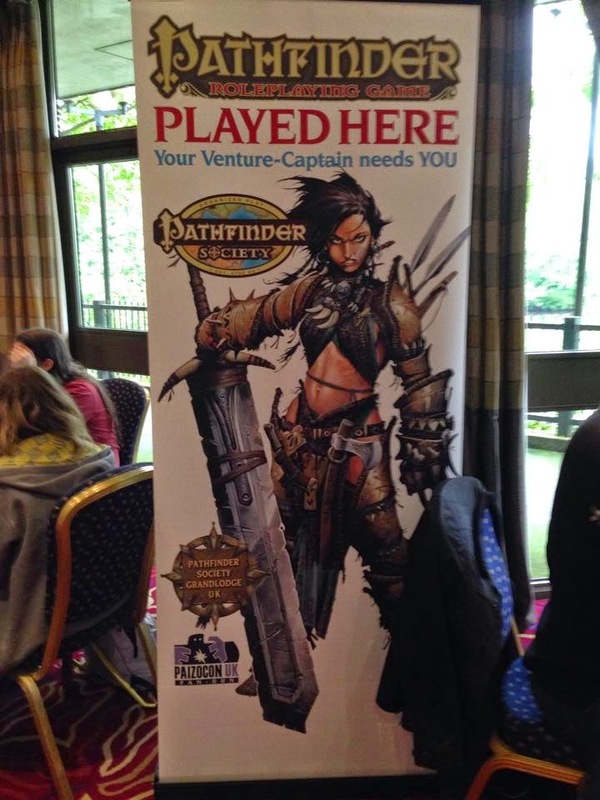 Tickets to the Pathfinder Special are £4, and are available via the UK Games Expo website.